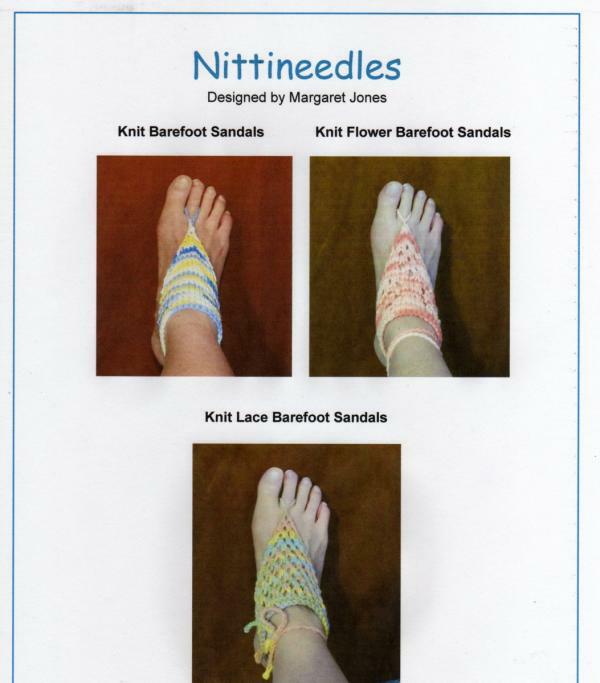 Before you ask, these are for people who love to go barefoot, anywhere, anytime. They are for the bride and bridesmaids at a beach wedding. 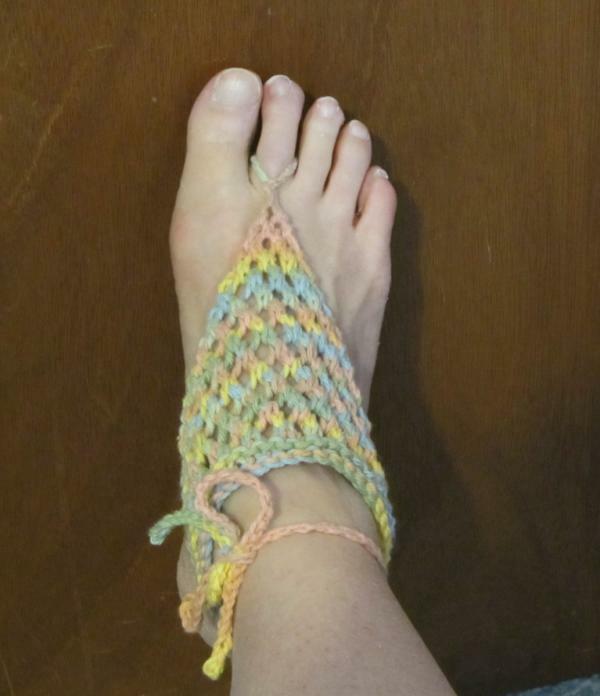 I wear them for spinning so that my bare feet won't slip on the treadles the way they do when I wear socks. 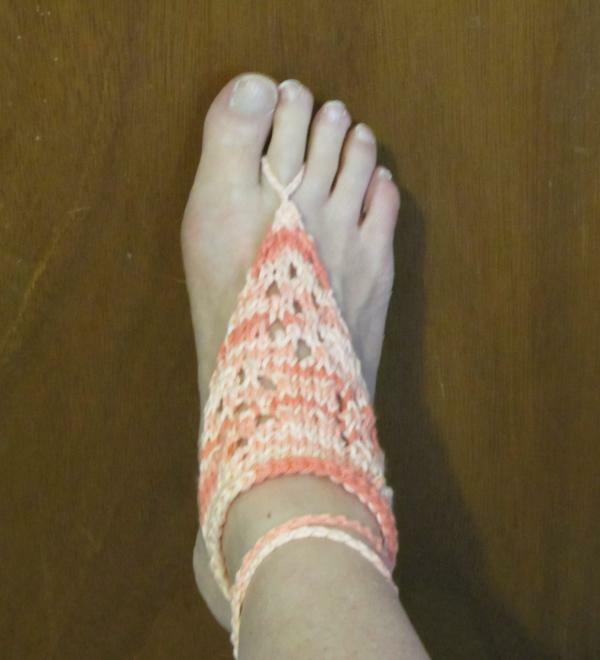 I designed these knit barefoot sandals because most patterns I can find for these are crochet. My pattern is only one of two on all of Ravelry, although I'm sure that will change soon as they appear to be gaining in popularity. The pattern cover page. Well, most of it. For some unknown reason, my scanner chopped off the bottom of the page. It only takes a couple of hours to knit a pair. Get with the times John. Bareass underpants have been around for decades. They're called thongs. Real nice feet, wouldn't mind having a pair of those,but my feet are past their prime and let me know it, though your bare foot look is cute. My feet are the youngest looking part of my anatomy. I haven't heard of these... They are cute!